What’s The Benefit of a Cross Trainer Workout? A major benefit of using the body sculpture cross trainer is in that it has a pair of swing-like legs and handles for the arms. This design makes it suitable for exercising both the legs and arms with ease. Over exercising one part of the body often leads to other problems. That is why it is essential for one to use a good machine that can help you balance your training program for the best possible results. Many people who practice cross trainer workout programs do not have to deal with frequent injuries resulting from exercising. If you use equipment that is not professionally tuned to offer most gains from your workouts, you are likely to incur injuries during training. You can always avoid such complications by using reliable equipment such as the body sculpture cross trainer. Good workouts should always be accompanied with a proper diet. It is important to make sure you have the right food when taking part in any physical training regimes. Most workouts require much energy and the diet you take when working out should have plenty of energy giving foods to enhance your ability to gain from the workouts. Even as you work on the workout programs in the machine, you should also make a point of balancing your workouts. If you have to work with the arms, you should make sure you do equal sets for both the right and left arms for the sake of maintaining proper balance. Even the feet get a better workout when using this machine because you can shift positions and even pedal in the normal as well as backward position. But Why The Cross Trainer? The cross trainer also has several features that make it a preferred choice for many especially when it comes to selecting home workout equipment. An outstanding feature is the ability to back pedal. Experts say this makes the hamstrings and other parts a better gain when you workout. The positioning of the handle bars and foot pedals allow for an upright training position. This is good in toning and shaping the entire body. 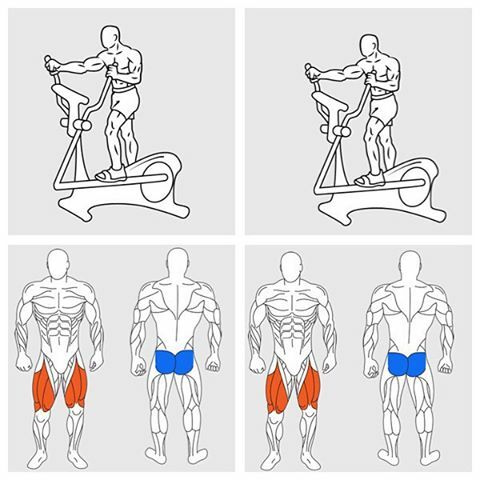 In this upright position, you can easily have a chance to work your quads and abs. even the chest gets a good workout when you are pulling and pushing at the handle bars in an upright position. With this machine and working in an upright position, you will build your cardio strength much faster while still managing to stay focused on other parts of the body. Burning out the tummy fats has never been easier. This is reason enough to choose this cross trainer as opposed to many other fitness devices in the market.